Click the button below to add the '86 to '17 Harley Heritage Classic Batwing Fairing 136-0000 to your wish list. Let’s face it, you wouldn’t ride a softail if comfort was not important to you. Whether it’s a Standard, Custom, Springer or whatever, you chose your softail for comfort over the long haul. A new Vector Batwing Fairing can take that comfort to the next level and beyond. Forget the cold, cold wind. Make road debris a distant memory. And have your electronic components at your fingers with one easy-to-install accessory – a Vector Batwing Fairing. As a Harley rider, you clearly don’t settle for second best. You go for the best materials, superior design and premier fit and finish. So do we. Hand laid fiberglass construction, instead of stamped out ABS plastic. Smooth and tough gelcoat finish instead of cheap primer. Customized design for a great fit that’s easy to install. Take your riding comfort to the max and enjoy the road even more. Get your hands on (or rather behind) a Vector Batwing Fairing. 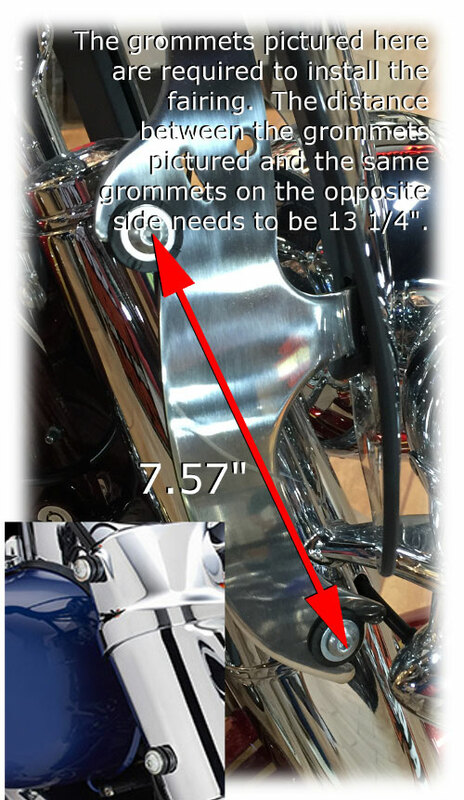 These fairings are designed to fit the Softail models listed below but there are many different models, factory upgrades, and custom aftermarket parts so some modification may be necessary. Each fairing comes with one clear and one tinted windshield at no additional cost. Great product. Fit just as described. I painted it factory color and installed. Looks great. Thanks for a fine product. I have pictures if you tell me how to get them to you. Thanks. I received my fairing in great shape. It was pretty much flawless. It installed as described and looks great on the bike. Only con is how the front and rear fairing mate up along outer corners isn't real close, but it still looks good. I will send pictures as I have painted it with factory color . Thanks for a great product.